Sydney city and its peak hour traffic, every Sydneysider is well aware of that, nobody would dare to drive to work. Sydney has one of the best public transport system in place. Buses and Ferries are doing a fantastic job, but we need a train driver to keep our CityRail operations up and running in this train simulator 2017, by far the best of all train games. 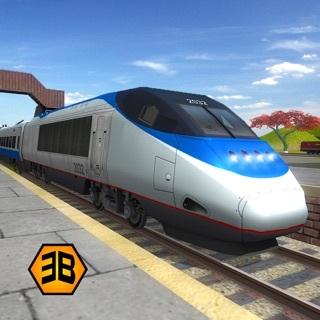 Real train game is hard to play, but not this one with all its unique camera angles to check the track-s for adventure, and also get ready for any trainz race any one is looking for. Time is important to get to train stations in time, parking at precise location and racing against time to get the job done. All the necessary training as a train driver is given at the start of this train simulator, so no need to worry, we have covered it all. A detailed map is given, which can be zoomed in, to find all the necessary direction for the train driver in one of the best train games of the store. 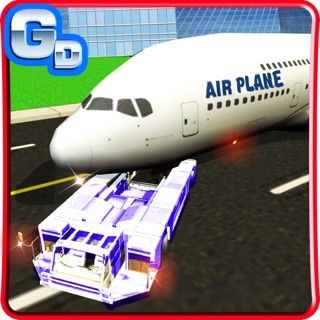 Challenge mode will ensure all the real train driving skills along with quick reflexes to make instant decisions in this adventure rail parking game 2017. Fantastic trainz 3D models with complete interior of passengers buggy and driver compartment on display. Play the real train simulator 2017 game from the driver compartment and enjoy the scenic view from that angles. Keep driving and make instant decisions on the go. Challenge mode may ask you to race at times against the racing clock to get to the stations just in time to cover the morning peak. - Fantastic 3d models, with all the interior of passenger and river compartment. - Breathtaking camera views, so be a rail driver even sitting in the compartment. - Keep watching the cityrail racing from 360 degrees. - Door opening and closing real animations on display. - Lots of challenging levels. - Real traffic lights system in place. This game when I downloaded it I try to play it but it turned my iPad off and locked my out for 1 hour. I tried one more time it let my play but it froze there for 30 minutes. Don't make the mistake of downloading this game.